Rivers United has eventually picked up their first point on the road in the current domestic league campaign. Their game in Ilorin, against ABS FC was scoreless, thus handing the Pride of Rivers a point in their kitty. The Stanley Eguma led side has the sole mission of keeping the side in the top flight of Nigerian football. With this result, ABS FC remains in the drop zone, 18th on the 20-man league. 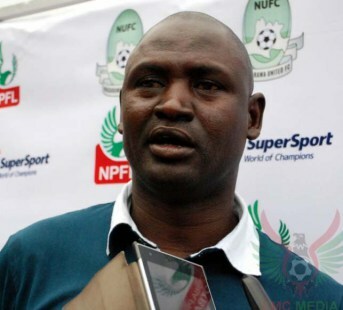 Nasarawa United under the tutelage of coach Kabiru Dogo also snatched their first away win of the season. The only goal that decided the game against Sunshine Stars FC in Akure, came through diminutive attacker Abdulraman Bashir in the early part of the first half. Sunshine Stars are struggling in the relegation region and this defeat at home is a hot blow to their premier league destiny. Duke Udi of Sunshine Stars has a lot of work in his hands if the reason for him been hired is considered. Their next game is against Rivers United in Port Harcourt, where the Pride of Rivers have been edging their visitors in the domestic scene. Musa Newman, Al-Hassan Ibrahim and Christian Pyagbara scored one goal each to hand Akwa United the maximum points against Gombe United. Lanky forward, Al-Hassan added to his tally in the race for the top scorer. He has scored 12 times so far. It was a 5-goal thriller in Makurdi as Lobi Stars scraped a win over bottom Remo Stars FC in a lively tie. Anthony Okpotu, Kingsley Eduwo and Uchenna Eze were on the score sheet for the homers, while Victor Chidume and Ekene Awazie got the consolation goals for the visitors. Anthony Okpotu is now on 13 goals, on the race for top scorer. In what could be describe as the hottest fixture of the day, the Oriental Derby between Nnewi based side FC Ifeanyi Ubah and Enyimba FC of Aba, there was no difference in terms of goals. Obaje’s powerful shot early in the second half was the decider of the encounter, which produced 3 yellow cards. Three apiece. The result see FC Ifeanyi Ubah go on top of Enyimba on the log. Anambra Warriors are now on the 6th position with 45 points, followed by Oriental neighbors, Enyimba. The Gbenga Ogunbote side have garnered 44 points so far. The game was basically between FC Ifeanyi Ubah’s frontline comprising of Chijioke Alaekwe, John Huan, Prince Aggrey and Godwin Obaje against Nelson Ogbonnaya, Isiaka Oladuntoye, Andrew Abalogu and Ikouwem Udoh of the Peoples’ Elephant. In other results of the Matchday 29 encounter, El-Kanemi Warriors defeated visiting Abia Warriors 1-0. Kano Pillars compounded Enugu Rangers’ woes with a 2-0 victory in Kano. Niger Tornadoes benefited from a controversial penalty to scrap a win over league leaders, Plateau United. The game ended 1-0 in favour of the Minna based side. Shooting Stars continued their task of leaving the drop zone by getting the maximum points from Katsina United. 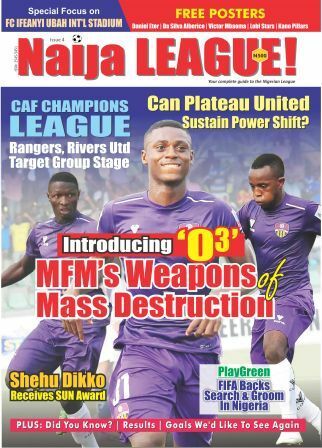 MFM FC kept their title hope alive with a 1-0 victory over Wikki Tourists.